Tendencias: Crest or Pompadour hairstyle, the high volume on the head! 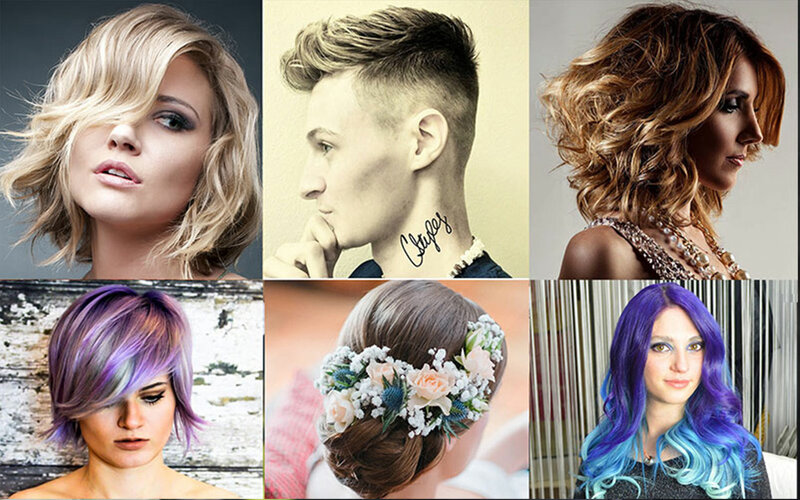 Tired of traditional and unoriginal hairstyles? Bored of your flat hair without tonicity? Opting for high volume on the head! You personalise your hairstyle without fail and gain volume and lightness. A way to break the routine and to rock your style with sobriety! 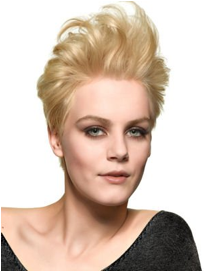 Crest, Pompadour style like Banana will change and you for sure and give you a real look with no ambiguity! This is the proposition of this trend that pleased pioneer and audacious. Appeared no long ago it’s now democratizes and become a fashion trend. Moderate or pushed to the extreme, it can adapt to all moods. A well-distributed volume, suitable lengths and harmony, these key elements will make your hairstyle a success. For the styling: Apply styling mousse, dry ruffling your hair upside down(or squeezing) ) to increase the volume, and fix the movements given by a spray or gel according to the desired effect. Your style will be greater for sure! It only remains to choose from countless declination. Collection Hair presents all type of crest hairstyle from the most eccentric to the wiser for the greatest pleasure of fashion victim. Camille Albane sets up softness and femininity for a casual look. 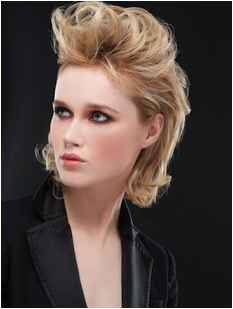 Saint Algue combines rock and vitality to deploy a flexible and rebellious mane. Volume XXL, Eugene Perma dared to take big and pop proportions for an excessive fun. A mishmash of shaggy locks styled on the front, is the haute couture challenge of Jacques Fourcade . Very grungy, you just need to pass your hand in the hair and the haircut goes itself by Vog . 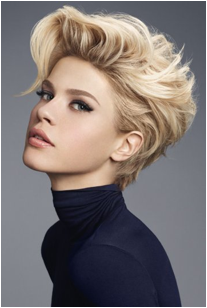 The sides are short and straight to create a big contrast with the curl on top L’Oreal is distinguished by a pioneering hairstyle. Bushy hair or wind effect, Saint Algue goes for an enthusiastic haircut. 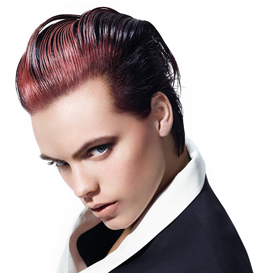 Schwarzopf illustrated the androgynous haircut with length plastered down on the forehead and wet effect. Shaven side and shaggy style the punk attitude of Jean Claude Aubry is very electric! 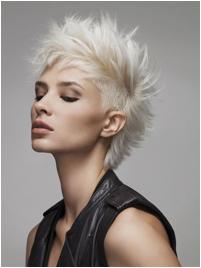 By allowing the flexible lengths and layering shorter on the top, Biguine creates a malleable style. Vitality's minimizes the volume and smoothes the top part till the front. Modernity and energy are awarded. A kind of banana on top of the head, this is the little wild bun from Camille Albane . 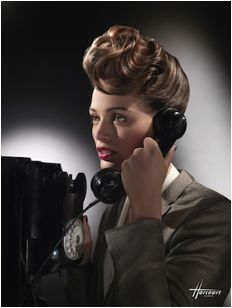 Waves and volume, Vania Laporte reveals a retro style very chic. Saint Algue adopts a Pompadour with rebels and flexible hair creating lightness. Sophisticated, the hair up with rounded curves takes a beautiful magnitude height. Dessange flirt with refinement.